The Mens Observe Mid GT Surround Boot from Haglof is The new Gore-Tex Surround technology used in this shoe's construction lets your feet breathe from every single angle, even through the soles. 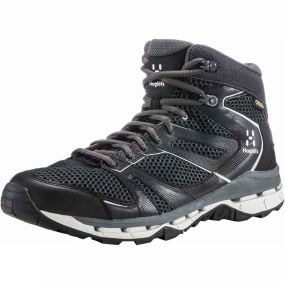 The shoe is also equipped for more demanding treks and trails, boasting a high level of comfort and stability. A mid-cut profile adds even more support and protection.